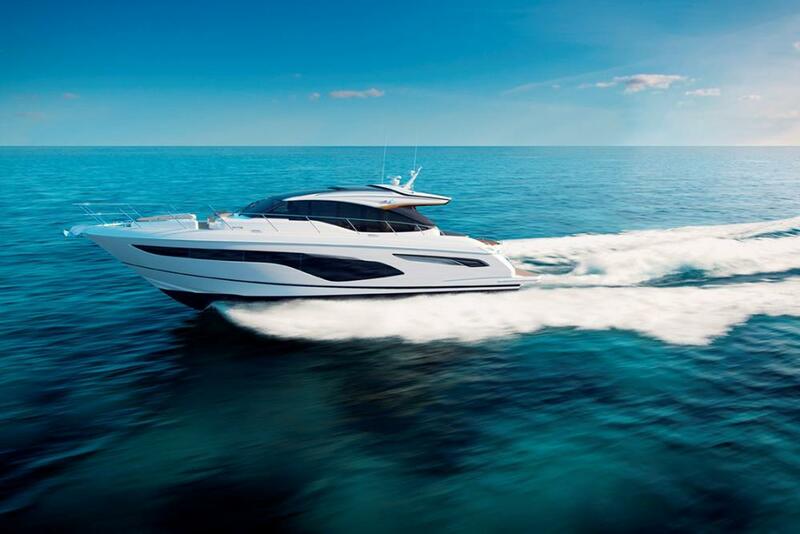 Princess Yachts will continue with their popular V-series model line by launching a new V60. SI Yachts will have a new V60 available for the summer of 2018 in Montauk and Staten Island. In an already crowded 60-foot express yacht market, the new Princess Yachts V60 shines as bright as the salon, with the retractable sunroof open of course. Set to debut this Spring, the V60 combines speed, comfortable accommodations, and lots of social space that is standard these days on every boat that the factory in Plymouth, England creates. To say the Princess market in the U.S. has been strong is an understatement. With a strong economy and the ever evolving comfort features found on board, Princess is setting a new standard in what it means to own an express or motor yacht. Such is the case with the new V60 that boasts some of the most elegant, yet powerful exterior lines of any boat in its class. The deep V-hull makes it look as if it’s reaching towards the horizon while effortlessly cutting through the waves. A benefit to the hull-shape and design is that the V60 not only rides well through a chop, but it also offers more fuel efficiency and increases the interior space on board. Owners will love the social space in the aft cockpit which offers a U-shaped seating arrangement around a table with two additional chairs, all overlooking the transom sun-pad and hydraulic swimming platform. Inside the salon it’s impossible not to notice how bright it is and the amazing views through the large, panoramic windows that line walls. The appointments are bright and airy and help accentuate the feeling of being outdoors while still inside. The galley is placed aft across from an L-shaped couch and dining table which makes it convenient to serve guests sitting in the aft cockpit through the electric powered aft window that comes down to completely open up the back of the boat. Forward of the galley and dining area is a large U-shaped couch that is placed in front of a cabinet and a 49” flat-screen television that is set on an electric raise/lower mechanism and comes with a DVD, radio, mp3, and surround sound system. The cabinet is perfect for glass and bottle storage. The couch is also set close-by the helm station so the captain doesn’t feel isolated from the rest of the group and can enjoy the conversation. The helm station has twin seats with fore and aft adjustment and maximum comfort on extended trips. The windows around the helm station and portside are all electric and will open, providing a nice breeze for the captain will underway. Every control you could possibly want is located here including full engine instrumentation, fuel gauges, and a rudder position indicator. Princess added state-of-the-art navigation systems including a color radar, GPS and chartplotter, VHF, a speed and distance log, an echo sounder with alarm, and autopilot. Bow thruster joystick controls making controlling the V60 will docking easy. The Princess V60 offers the owner a luxurious full-beam master suite that is placed amidships on the lower deck, while guests have the choice of two additional cabins. The master suite is spacious and includes a private ensuite head. The berth is placed center in the cabin and has nightstands on both sides and plenty of room to walk around. A couch is placed portside while the starboard side holds a dresser and additional storage. Big windows on both sides give the master suite plenty of sunlight and interesting views while at anchor. 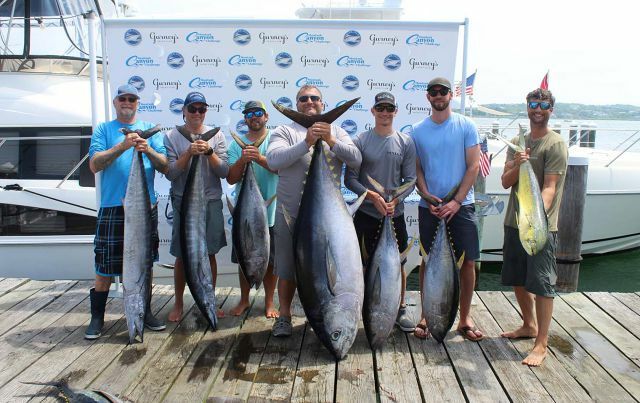 The VIP stateroom is placed forward with a queen-sized berth and plenty of storage for overnight trips with the owners while the third stateroom has side-by-side bunks and shares the second head with the VIP. The V60 has a fresh water capacity of over 850 gallons so no one on board has to worry about not having a shower at the end of a fun-filled day in the ocean. 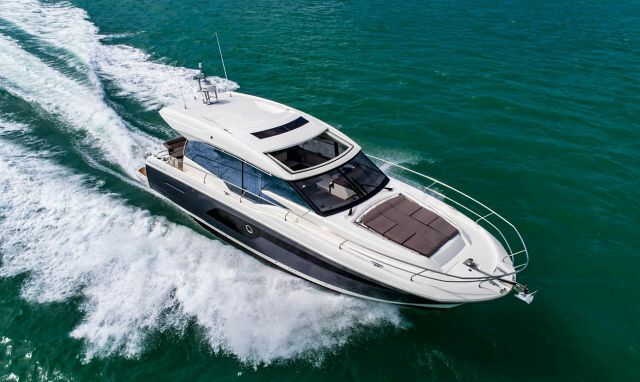 With all of the comfort features aboard the Princess Yachts V60, it’s easy to forget that this is a performance cruiser at heart. 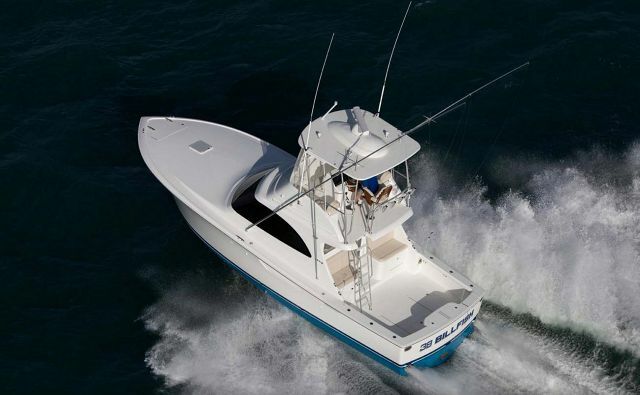 The engineers at Princess opted for twin MAN V8 diesel engines that push 1,200 horsepower each. The result is a yacht that cruises in the low 30’s and tops out at 38 knots. And with the benefits of the deep-V hull, it will feel much more comfortable than many of the other competitor models on the market while running, assuming that can reach the same speeds. 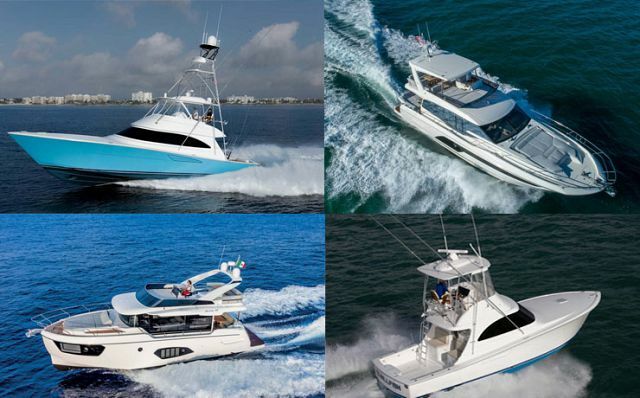 Staten Island Yacht Sales specializes in the sale of new and pre-owned Princess Yachts and would like to keep you up to date on the launch of the Princess V60. To be added to our e-mailing list, simply visit this Princess V60 page and fill out the Contact Us form.